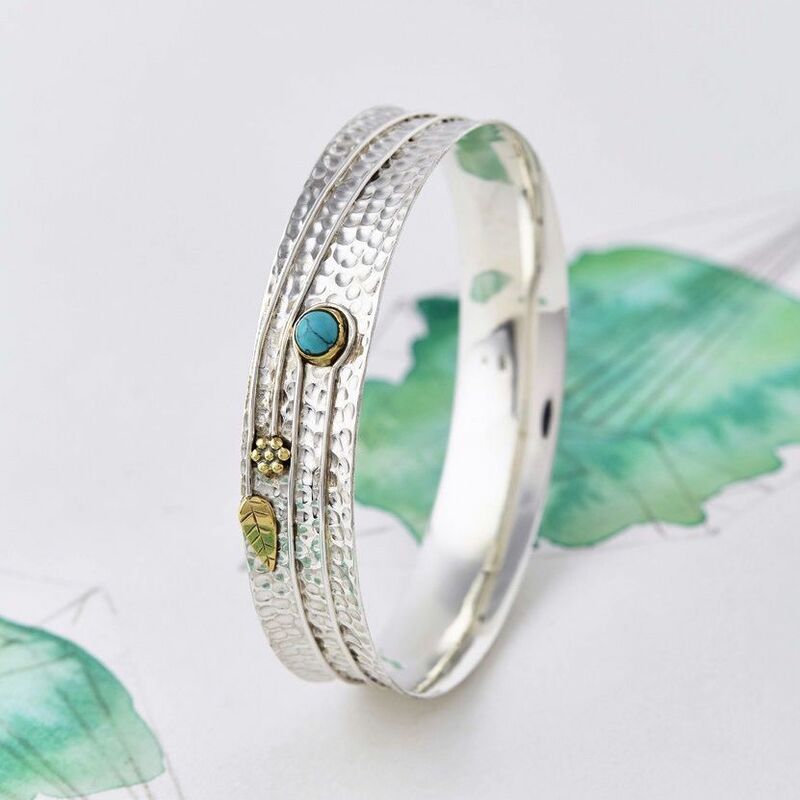 Captivating, ornate, handmade Turquoise Flower Silver Bangle Add a touch of everyday luxury to your life with our unique gemstone sterling silver bracelet This elegant and eye-catching chunky turquoise silver bracelet has pretty leaf and flower detailing in brass, upon a gently hammered band of sterling silver. The delicate brass detail makes this bangle stand out from the crowds. With both silver and gold tones. Channel the latest nature trends with this stylish semi precious gemstone piece.